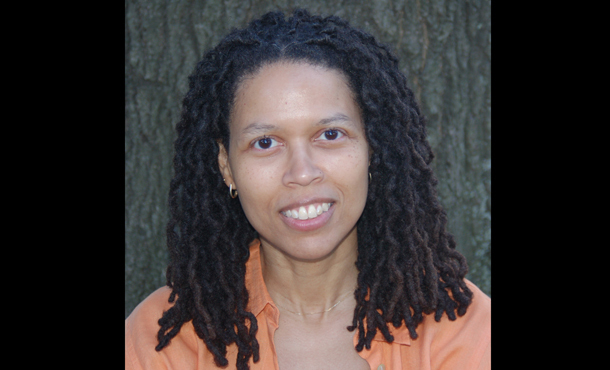 Evie Shockley, an award-winning poet who embraces both free-verse and traditional styles of writing, will open up the 2014-15 Writers Read series on Wednesday, September 24, at 8 p.m. in Eastern Mennonite University’s Lehman Auditorium. Shockley has published four collections of poetry: The Gorgon Goddess and a half-red sea were published by Carolina Wren Press in 2001 and 2006 and 31 words * prose poems in 2007 (Belladonna Books). Her most recent collection the new black (Wesleyan University Press, 2011) received the 2012 Hurston/Wright Legacy Award in Poetry. Two of Shockley’s poems were displayed in the Biko 30/30 exhibit, a commemoration of the life and work of anti-apartheid activist Steven Biko, which toured South Africa in 2007. Shockley is an associate professor of English at Rutgers University in New Jersey, specializing in African American and African diaspora literature, especially poetry. She has authored a scholarly study of black aesthetics entitled Renegade Poetics. Shockley will also be a part of James Madison University’s Furious Flower Poetry Festival, Sept. 24-27. Visit FuriousFlower2014.com, or call 540-568-8883 for more information. Sign-language interpretation is available upon request.